Members are covered under the club's insurance policy for up to $10,000 of medical expenses incurred as a result of an accident that occurs on an official club rides. Please note that this coverage is secondary to any other coverage you may have. For more information, see League of American Bicyclist's Insurance Program Overview. Our corporate members sometimes offer exclusive benefits to Vero Cycling members. For example, Orchid Island Bikes and Kayaks offers Vero Cycling members a 10% discount on all purchases. Most club activities, including rides and other club events, are announced through Vero Cycling's private email system. Being a member allows you to receive those emails. Some pages on the club's website have restricted access (e.g., the full ride schedule and the member forums). Club members have full access to those pages. Members receive periodic invitations to member-only programs, social events and workshops held throughout the year. 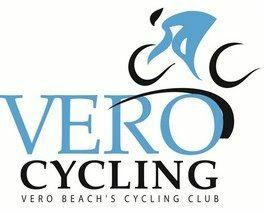 In addition to sponsoring group rides, Vero Cycling serves as an advocate for cyclists in the Indian River County area. We work with local government and community organizations to promote cycling and the development of cycling friendly infrastructure (e.g., bike lanes, trails, etc.) in our community.